OLD PARKED CARS. 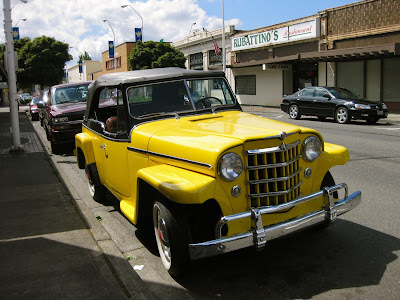 : 1950 Willys Jeepster Convertible. Oh, gad that is ugly. But it's ugly like the VW Thing, so cute/ugly. Well, maybe it's actually kind of cute. 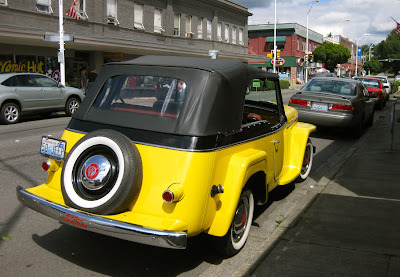 Someone help me make up my mind about this car; it's too weird for words! And why does that grill look so much like a Packard? Well Professor, it's hard for me to get past the color here. 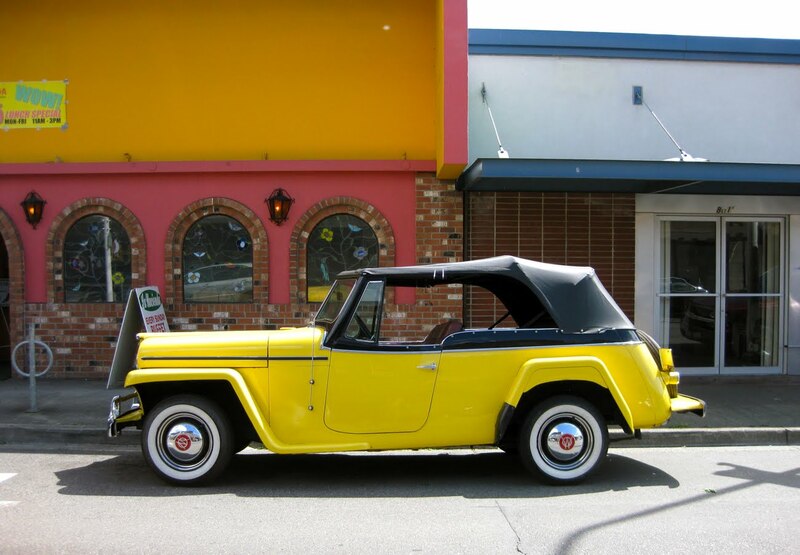 But I think it's definitely got a solid VW Thing-like appeal, and on that fine summer day I would have loved to experience it with the top down. I can't imagine wanting to own one, but I actually find myself enjoying the looks more and more. I have a 50 Jeepster convertible; fabulous paint, hand fabricated seats;fuel injected 289 mustang power;rack and pinion steering w/power disc brakes; custom mag wheels.It doesn't resemble a Thing! This was just like my very first car. 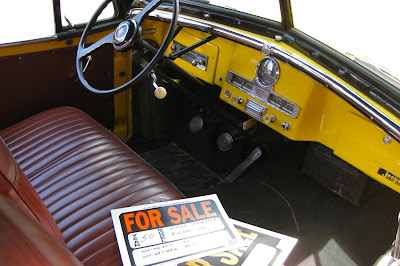 My father collected Willys and he gave one like this to me. I've had countless cars through my life.....many great cars. This car still holds the dearest place in my heart. I drove it all through college and, it reminds me of my Dad. YES. IT IS UGLY BUT LOOK AT TODAY CARS WORST YET... VIRTUALLY ALL PLASTIC, THIN GAUGE METAL AND DEADLY. I DO HAVE 2 OF THEM ONE IS A 1950 AND THE OTHER IS A 1949. AND IF I'M STILL ALIVE HOPEFULLY I'M GOING TO MODIFY THE LOOKS A LITTLE FOR A BETTER EYE APPEAL ON THE 1949. YES, IT'S NICE DRIVING AROUND WITH THE TOP DOWN.